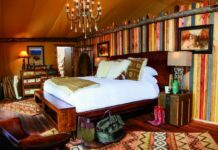 Red tide is affecting Florida’s Gulf Coast beaches, and possibly costing you some bookings, but we have a few suggestions for your clients to explore beyond the beach. Red tide is a higher than normal concentration of naturally occurring, microscopic algae called karenia brevis, which is often referred to simply as k. brevis. According to the Visit Sarasota website, this algae produces brevetoxins that can kill marine animals and be harmful to humans. Red tides form many miles offshore, and the majority of the time cause no impact to humans. However, when red tides travel inshore, as they have this year, they can cause respiratory irritation among beach-goers. Some swimmers can experience skin irritation and rashes after swimming in waters with severe red tide; some also report eye irritation, according to the Sarasota County website. 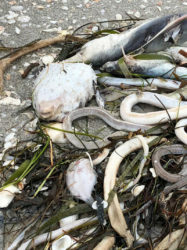 The current red tide situation has washed dead fish ashore, and according to the Florida Department of Health, during these conditions it is advised that beach-goers avoid swimming in the water where dead fish are present. Now, you might be wondering what you should do if you have travelers heading to a Florida Gulf Coast beach for vacation. “There have been clients who have called upon hearing reports of red tide in the area,” says Sauer. Those of us living on the Gulf Coast are used to red tide to some degree most seasons. Red tides can last as little as a few weeks or longer than a year, although longer instances of red tide are rare. “Hotels do not alter their cancellation policy for red tide, but they should provide local conditions on their beach if called,” says Sauer. 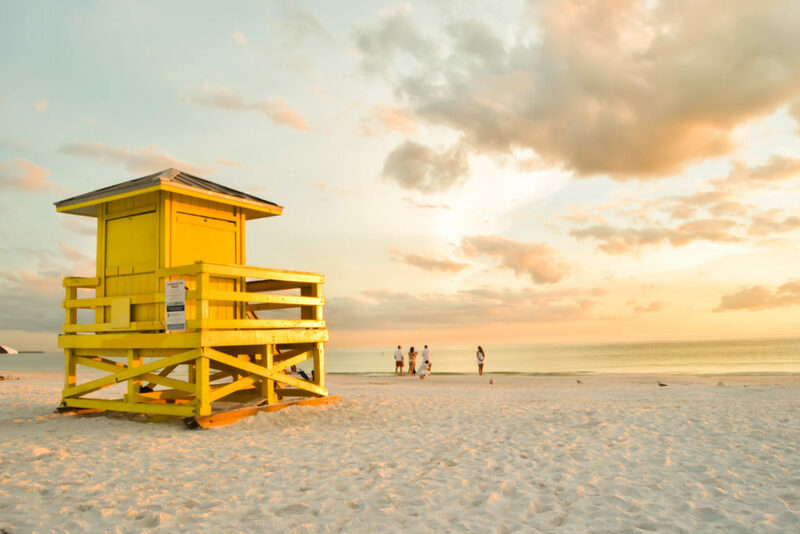 If the beach is a no-go, there is still much to draw your clients to Florida’s Gulf Coast. The spokesperson for The Beaches of Fort Myers and Sanibel says that, “each Monday, the Lee County Visitor & Convention Bureau provides our industry partners with a look at events happening on The Beaches of Fort Myers & Sanibel.” For more information on what’s happening during your client’s visit, sign up for the newsletter updates here. 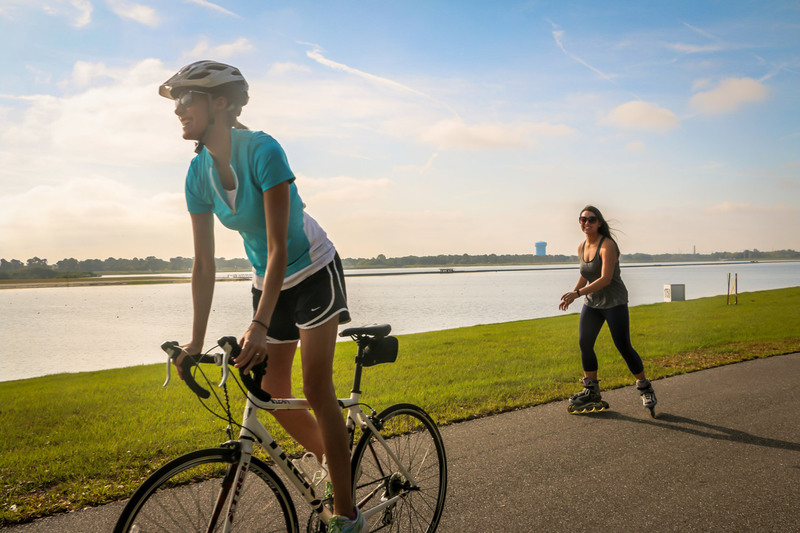 For those heading to the Fort Myers and Sanibel area, suggest those clients who are up for some outdoor fun visit Caloosahatchee Regional Park, which is made of pine flatwoods and oak hammocks and offers 20 miles of biking, hiking, and horseback riding trails. Another option is the Six Miles Cypress Slough Preserve, a 2,500-acre wetland where guests can walk along the 1.2-mile boardwalk to observe the local residents—gopher tortoise, alligators, and more than 400 types of birds. 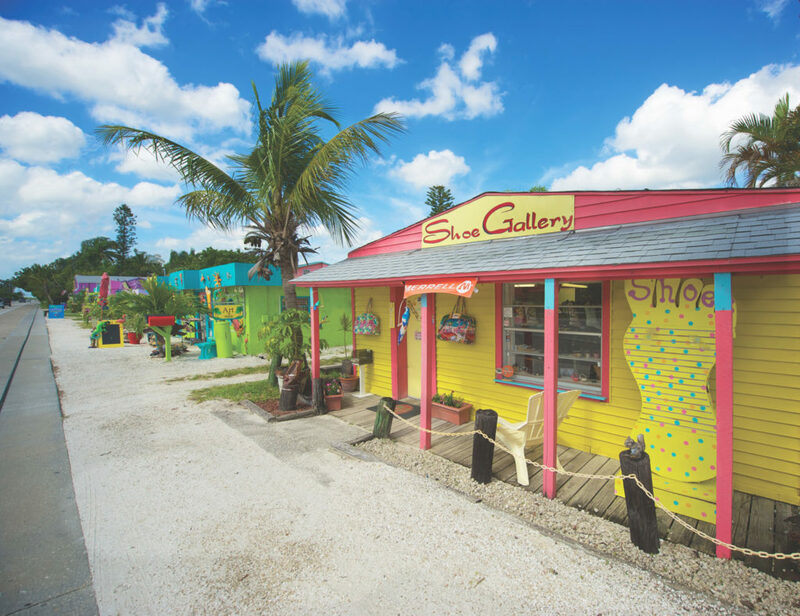 A visit to Matlacha brings travelers to a creative community filled with eclectic art exhibits such as the Wild Child Art Gallery and the Lovegrove Gallery and Gardens. Guests can enjoy strolling the streets of this Instagrammable artist hub lined with brightly colored paintings and sculptures. The J.N. “Ding” Darling National Wildlife Refuge features over 25 miles of bike trails across Sanibel Island; and the Everglades Wonder Garden in Bonita Springs offers guests a yoga with the flamingos class where guests can do a downward dog alongside native Florida flamingos—the class is $10 and starts before the park opens to the public to offer yogis a peaceful atmosphere. Another interesting visit is the Mound Key Archaeological State Park (only accessible by boat), which has an eco-history that dates back 2,000 years and features the recently renovated Mound House on Estero Island, an active archaeological dig site, and hosts a museum built on the former home of the ancient Calusa Indians. The Edison & Ford Winter Estates gives them the opportunity to stroll back in time through the winter homes of the iconic inventors Henry Ford and Thomas Edison. 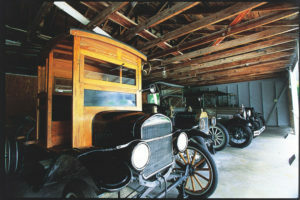 The property is filled with former inventions and antique cars, and features a 20-acre botanical garden that was designed by Edison for scientific study. Over in downtown Fort Myers, The Shell Factory is a haven for all things quirky, and is the largest retailer of seashells in the world. Here, guests can take in unusual exhibits such as the year-round Christmas House, and the botanical garden with over 400 exotic animals. 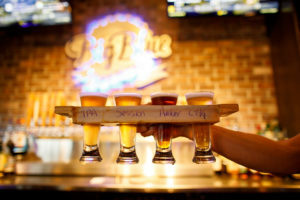 And, if enjoying a cold beer is what your clients are seeking, suggest the Brewery Trail, which features over 33 locally owned breweries and distilleries. Travelers heading to Sarasota also have plenty of offerings beyond the beach. 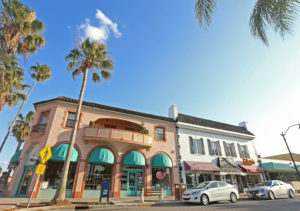 “What is great in Sarasota is that there is so much to do beyond the beaches. From the state-of-the-art museums of Florida such as The Ringling, Selby Gardens, and two state parks, to name a few, there is still plenty to experience in Sarasota County,” says Lynn Hobeck Bates, communications manager for Visit Sarasota. “Near Sarasota there is the Mote Laboratory & Aquarium, which is also an operating research lab studying red tide,” says Burk. For those who are up for a quick road trip, Burk says, “Visitors of all ages can enjoy a trip to the Kennedy Space Center and for families there is always the option of Florida’s theme parks—Walt Disney World, Universal Studios, and Busch Gardens are just a few. Visitors in the Tampa Bay and St. Petersburg area can visit the Salvador Dali Museum, which offers the largest collection of Dali’s work outside of Europe. Fort Lauderdale and Miami also offer a lot to do off the beaches, including Las Olas Avenue’s mecca for shopping and dining and Miami’s Brickell Avenue, and fantastic shopping at Bayside Marketplace and Brickell City Center. Miami is also home to many wonderful art museums, including Perez Art Museum, world-class dining and an active nightlife scene,” adds Burk. For more information on Sarasota, go visitsarasota.com; for information on The Beaches of Fort Myers and Sanibel, visit fortmyers-sanibel.com. To keep up-to-date with the red tide conditions, visit the NOAA Forecast for Red Tide in Florida. For more options on Florida stays, don’t miss an array of options here.